Home » Blog » What is Meditation? What is meditation? Meditation is a process of clearing the mind of thoughts and getting in touch with your inner self. The essence of meditation is breathing. By focusing on your breathing, it allows your mind to slow down from excessive thoughts. Through meditation, you realize that you are the observer of your thoughts and emotions. You begin to realize that your thoughts are just thoughts and not reality. Meditation allows you to be in the present moment. It gives you clarity and mental strength. Meditation has been around for thousands of years. It started mainly in India with the Hindu’s and Buddhist’s. Meditation was used as a tool to find your way to enlightenment. The state of enlightenment is an end to all suffering. An enlightened person realizes that true suffering is mind made. They do not identify with the mind or ego, allowing yourself to just be without judgment or hatred. Let’s let Jon Kabat-Zinn explain what meditation means to him. 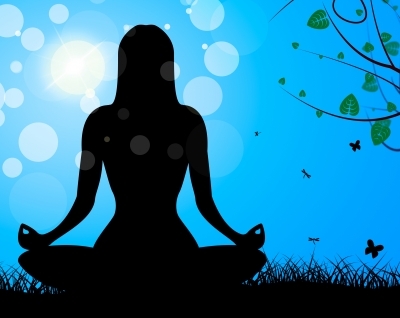 Meditation is a great way to relieve stress and anxiety. In today’s world of consent distractions and sensory overload, meditation allows your mind to rest, refocus and become aware. Meditation allows you to recondition your mind from destructive obsessive thought patterns that have taken over the lives of millions of people. You can reconnect with your inner being, your true essence. By practicing meditation you retrain your mind to not allow your thoughts to take you over emotionally. You become more present, calm and focused in your daily life. When you allow the mind to slow down, you begin to see things more clearly without all the mental chatter. Just start with the basic core of meditation by breathing. Just sit somewhere quiet, close your eyes and focus on your breathing. Be aware of your in breath and out breath. Breath normally and allow any thoughts to come and go. Just be aware that they are there, but don’t be drawn into them. Don’t let them take you into another direction or away from your breath. Try and relax your body. Focus on your breath, the in breath and out breath. Try this for as long as you feel comfortable. It may be difficult for some to just sit and be still at first. But with practice, you will get better. Start by watching our 5-minute meditation video below. Meditation is an excellent tool to clear the mind. Through daily meditation, you will begin to realize that you are not your thoughts and feelings. There is something greater, you are the awareness, the silent watcher, observing it all.